http://www.line-stickers.com/ – J BIRD & NONG ENJOY Line Sticker | Make your life smarter with J BIRD and NONG ENJOY. 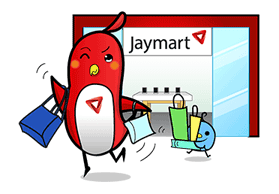 Friend Jaymart‘s Official Account to get them. Available till July 23, 2014.